Preliminary tests should be performed on the car windshield in order to determine the location of the various scratches. In order to achieve the same, the fingernails can be used to find the exact locations wherein they catch onto the scratch. In case the scratch is considerably deep, it might not be repairable. However, if the fingernail does not get caught onto the scratch properly, it might be plausible buff it out using glass compounds and the variable speed drill. 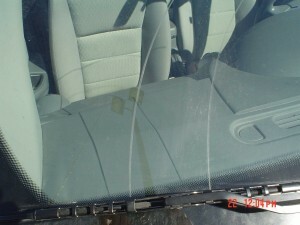 The next step in order to perform scratch removal is to thoroughly clean the entire car windshield. It should be made sure that there are no unwanted elements like dirt, oil as well as debris, on the part which needs repairs. Any good glass rubbing compound available in the market should be selected for the purpose of scratch removal. Moreover, they are often also available with the glass repair kits, which can be purchase online or from the local automotive shops. The buffing pad should be positioned on the variable speed drill and a small quantity of the chosen glass compound should be applied on the pad. In order to remove the scratches form the car windshield, soft pressure should be applied for few minutes while working the compound onto the scratched car windshield surface in small and circular motions. It is pivotal to note that the area of the windshield which is being worked upon should be kept wet at all time, while carrying out the scratch removal procedure. The area of the windshield where the scratches or the chips are being removed should be intermittently cleaned using a clean woolen rag. Consequently, a small amount of the glass polish should also be applies on a fresh buffing pad after the cleaning process is completed. The pad should be appropriately positioned in the correct place on the drill. The polish should then be worked onto the various scratches while only making use of soft to slightly moderate pressure. The process should be continued and repeated until and unless the scratch gets removed. The option of replacing the windshield should only be considered, if the process of removing the scratches does not yield the required results, and the same remain markedly visible on the automobile windshield.